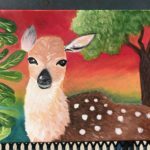 In my acrylic painting, I wanted to portray the beauty of the Key Deer, a species of deer that solely lives in the Florida Keys. Often victim to car accidents, habitat destruction, and poaching, there now remain fewer than 1000 left. 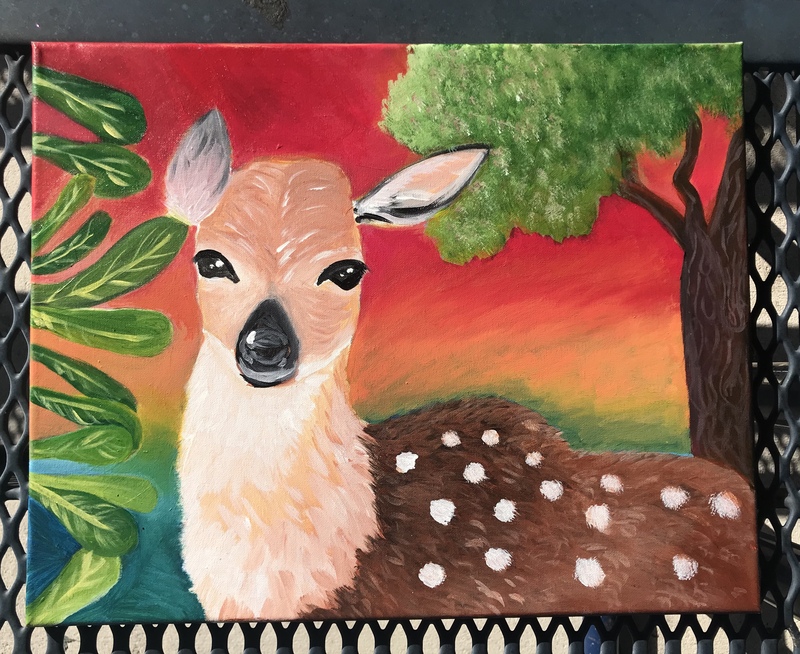 I wanted to use the vivid warm colors in the background to bring out the deer and alarm the viewer about the endangerment of this species, along with the volatile actions of mankind. I contrasted this with the soft, neutral tones of the deer to capture its innocence and lack of protection among Florida without the proper course of action.